All marketers know their marketing 5Ps, but how do you update your marketing when you adopt a customer first strategy? Here are some tips and ideas for you to adopt – or adapt. This is the easiest of the marketing 5Ps for a customer centric organisation to adapt because a customer first strategy is all about your customers. However, in recent years, there has been a lot of talk about the importance of employees, some even suggesting that they are more important than customers! I discussed this in detail in a post a couple of months ago, called ” Customers Care About Products & Value, Not Employees.” Click the title link to read my perspective on this topic. Personally, I believe that customers are your biggest asset, as they are the ones who pay your wages and make your business thrive. It, therefore, makes sense to know them intimately. If you have a different perspective I’d love to hear it; just add a comment below. In C3Centricity we use the 4W™ Template to record and describe the customer personas of our clients’ brands. 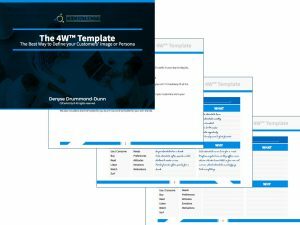 If you still haven’t downloaded our FREE persona template, CLICK HERE to get your free copy and instructions. This one simple idea is incredibly powerful in identifying actions which are not customer centric. I will give examples of these in the remaining 4Ps below. So a customer-centric approach to your customers is both thinking about them in every action you take, as well as knowing them as deeply as you can and keeping this knowledge constantly updated. This is often seen as the most important to address when you decide to update your marketing. After all it is what you are selling. It is also the one thing you think about day in and day out. But it’s not the most important in a customer centric organisation. Surprised? Think about it for a second. Without knowing the P for people in great detail, you won’t be able to optimise your offer in terms of the other four Ps. That’s why it’s a customer first strategy that works better than any other. WRONG! Any business that reduces pack content without informing its customers of it and the effective price increase. Read JD Roth’s “Hidden price increases at the grocery store” for more on this. WRONG! Exaggerated claims or twisting the numbers of contained calories by having unnatural serving sizes – seven potato chips anyone? Or saying a product is 95% fat-free, but it refers to the weight, not the calories! I once heard that everything written on the front of a pack is a lie! Check this out with any pack and you’ll see what I mean; there’s sure to be something not strictly correct on it. Please share any funny or annoying examples you find in the comments below. WRONG! Making variant identification difficult for customers. Have you ever bought the wrong product because packs were the same colour and just the names changed? I know I have. Or tried to understand the differences between variants that have five or seven descriptors? WRONG! Running frequent product tests only comparing to the latest version. Although this is standard procedure, if you make regular tests for small changes which go unnoticed in the short term, they can amount to a big, noticeable change over the long term. Better to compare results also to past best ones than only using the current benchmark. WRONG! Any company that makes it difficult for its customers to use their product. Think large bags of pet food or kitchen rolls without easy-carry handles; salad sauce or shampoo bottles which are impossible to open with damp hands; sealed bags which split when opened and need to be stored in a different container. WRONG! Making pack or logo changes without finding what your customers like or dislike in the current one. 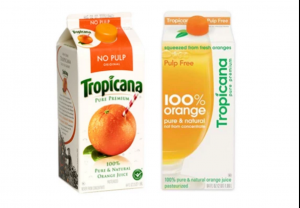 Think about the much-publicised Tropicana disaster back in 2009, or the Gap logo change. 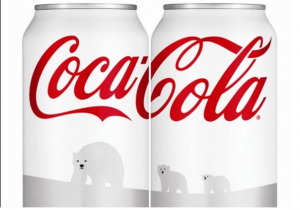 Or more recently the Coke holiday edition white can that consumers confused with the diet version, and were understandably disappointed when they realised they had bought the wrong variant. RIGHT! Taking the customers’ perspective when designing your packaging. Think deeply about how your customers will purchase, open and use your product. Don’t make them struggle in any way, whether to carry, open, close or store it. RIGHT! Working with your customers to perfect current and develop new products. This is by far the best way to guarantee that you stay connected to changing preferences. RIGHT! Be transparent, in your operations, your actions and your plans. If you aren’t, whatever you try to hide will eventually be uncovered and then made public on social media, probably with an accusation of unethical behaviour. United have discovered this many times. A customer-centric approach to the product when you want to update your marketing is therefore once again thinking about your customers when developing it. And ideally actually involving them in your decision-making whenever possible. Pricing in my opinion is the most difficult of the marketing 5Ps to get right, especially when updating your marketing when adopting a customer first strategy. You may think that a customer-first price is the lowest possible. It’s actually not! People estimate the value of products and services they purchase, based only in part upon its price. For example, how many “cheap” products have you bought, perhaps on sale, only to wonder why you ever bought it when you were home? You’d bought on price alone, excited by what appeared to be a “good deal” and then realised your purchase didn’t meet your needs or desires when you contemplated it more rationally at home. Research shows that customers value a better experience above price and it is expected to surpass both price and product by 2020. Retailers like Aldi and Lidl have used their pricing strategies to position themselves against more traditional competitors. In these new super-discounters, consumers accept limited choice for the sake of rock bottom prices. However, as they expand their offering to include more well-known brands, they have positioned themselves to appeal to a growing target of purchasers. However, many manufacturers lose out as their margins are stripped to almost zero. This is why we are now seeing a slow realisation that there is a better way to do business than mere price cutting. Both retailers and manufacturers are adapting to new consumer demands of value and not just low prices. Consumer goods companies, in particular, have for too long relied primarily on price promotions to meet their sales targets. Amazon has forced pricing down in most other categories because people now check online before buying in many categories. However, as Amazon starts trialling their Fresh online groceries and their bricks and mortar stores the whole world of retail is about to change forever. As if lowered prices is not challenging enough, people expect to receive something for free in exchange for their personal information online. Data has become the trading currency between consumers and product or service providers. This has resulted in many companies even changing their business models. Just one example of this is telecom that has become geolocalization data providers to many other industries. A customer centric pricing strategy will enable businesses to continue to grow, by understanding how to fix pricing levels more carefully. Knowing the value of what you offer and the importance of brand or service will enable retailers and manufacturers alike to continue to thrive. This is a major difficulty for every brand, especially if they have a lot of variants. 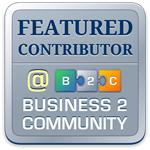 The answer to improving your distribution is your customers – of course! The more variants you have the more difficult it usually is to gain a wide distribution. If you know your customers as deeply as you should, then you will be able to identify their differences by region. You can then use these to make decisions about what to sell where. Since most retailers provide limited shelf space to each manufacturer, it is best used by showcasing your top selling variants in that area, plus eventual new offers to test their acceptance. Another “place” that it is important to understand today is social media. The Pew Research Center provides a 2016 US analysis of the major channels by demographics which is a great starting point. Ideally, you should know both where your customers are and when. That way you can be present when they are open to messaging. But more about that in the next topic. This P is relatively easy for a brand to be customer centric. You just have to offer what your customers need, where and when they need it. I know it’s easier said than done when you don’t have full control over your distribution. This is one reason why many manufacturers are now offering their products directly to their customers through online shops. The change will certainly have a significant impact on retailers and it is only a question of time before they increase the prices of making goods available in physical stores. In so many categories today, outlets are mere showrooms for people to see before they buy – online. 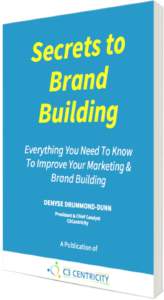 As with place, knowing what messages your customers are interested in receiving from you and even more importantly where and when are one of the keys to successful communications. Whether it is advertising, price promotions, social media sharing or other advertising activities, understanding your customers deeply is the other foundation of success. An organisation which makes it difficult for customers to connect using their preferred channel is not customer-centric. Take a look at your own website contact page. Does it include email, postal and street addresses? Does it have a telephone number or live chat option? It should. But if not, then I bet it has a contact form with possibly a drop-down menu from which a customer chooses their reason for reaching out. You probably also ask them for all their details, while not providing them with yours. Definitely not fair play is it? Another related area of promoting your brands is PR. Quickly owning up when you’ve made a mistake, rather than trying to hide it. This builds trust and customers will even forgive companies that do this. Honesty is definitely the best policy when it comes to your customers. A customer-centric organisation provides their customers with valuable information where and when they need it. They also communicate in ways which enhance their relationship and shows they value their business. If things go wrong they own up quickly, inform the public, say how and why it happened and what they are doing to put things right. They then go on to do just that by taking the appropriate actions, all the while informing their customers of their progress. Interested in updating your own Marketing 5Ps? Check out our 1-Day Training courses and download the brochure for more details on each of them. What Do You Think About Adopting a Customer First Strategy? 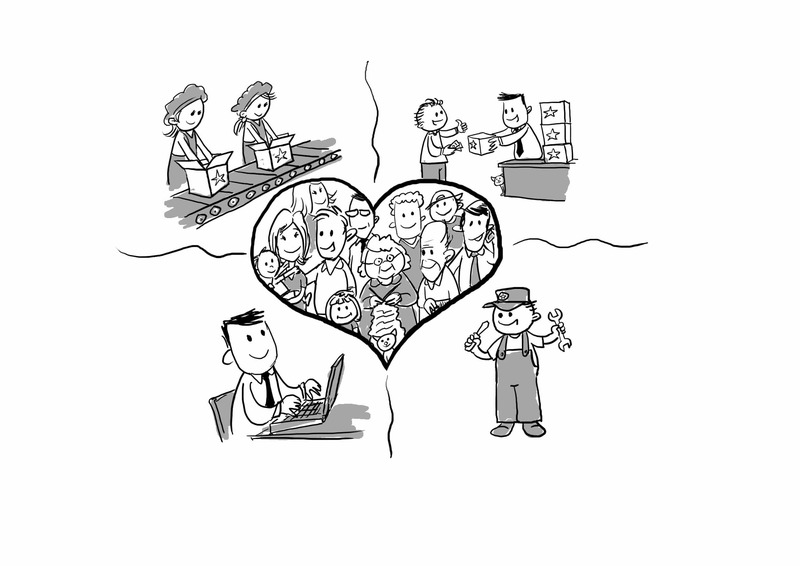 Did you notice that the new way of thinking about each of the Marketing 5Ps that I am suggesting involves the customer? Thinking and above all following a customer first strategy is the new marketing objective that gets results. I believe that both manufacturers and customers will benefit from a customer-first strategy. In fact, research from both Forrester and Gartner has now proven this; customer-centric organisations grow seven times faster and are 60% more profitable. Makes you wonder why companies are not rushing to change, doesn’t it? Marketers have been working with the marketing 5Ps (and 7Ps) for decades, so perhaps it’s time for an update. What do you think? Should they be translated into a more customer centric approach? What do you see are the major challenges in doing this? Why are some businesses still hesitating about moving to a customer-first strategy? I’d love to hear your thoughts on the topic. Are You Still Using The Marketing 5Ps? Move To The Improved 7Qs.